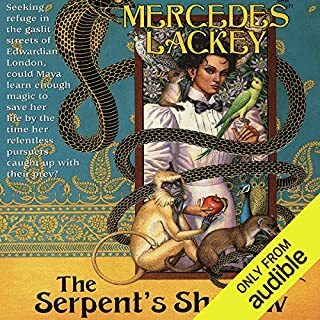 Mercedes Lackey is the New York Times best-selling author of the Valdemar series and romantic fantasies like Beauty and the Werewolf and The Fairy Godmother. 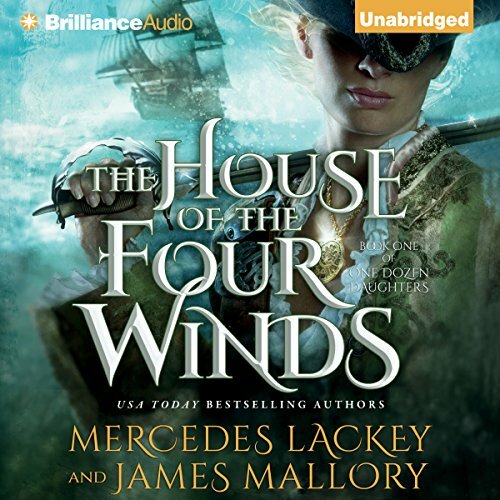 Now these New York Times and USA Today bestselling collaborators bring romance to the fore with The House of the Four Winds. Disguising herself as Clarence, Princess Clarice intends to sail to the New World. When the crew rebels, Clarice/Clarence, an expert with rapier and dagger, sides with the handsome navigator, Dominick, and kills the cruel captain. Dominick leads the now - outlawed crew in search of treasure in the secret pirate haven known as The House of the Four Winds. 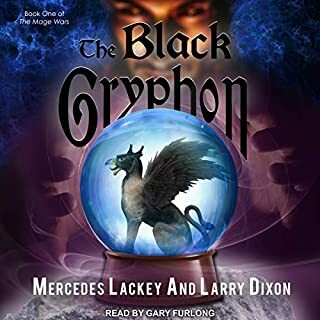 They encounter the sorceress Shamal, who claims Dominick for her own - but Clarice has fallen hard for Dominick and won’t give him up without a fight. This series has an amazing potential for diversity, which is both its greatest strength and its biggest flaw, but more on this later. Basically, it appears that each book in the series will deal with one individual of the twelve royal daughters of a small pocket country. The overall setting is at its core our world in the early 1700s, but magic, called thaumaturgy, is recognized as a natural science. 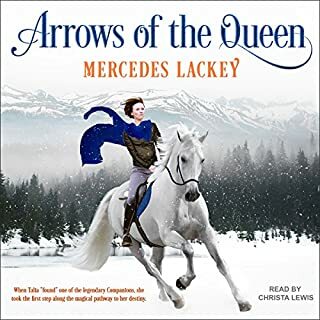 This first book focuses on Clarice, the eldest of the Dozen Daughters, who accepts her parents' offer of training in any occupation by choosing to become a swordmaster. The fundamental difficulty of this path is that she must first seek adventure, making a name for herself, to attract students to the school she will eventually open. Thus she goes to the new world, runs afoul of many pirates and an evil sorceress, and ends up falling in love in an entirely predictable fashion. There is serious foreshadowing of future books in her description of her sisters. This represents the strength of the series, since no two books will be describing similar personalities. Unfortunately, this is also the greatest weakness. I actually want another Clarice book or two more than I want the story of any of the other sisters. On the other hand, there is no reason in the current publishing environment for one or more of the sisters to be granted a full trilogy. In my mind, this may be the best course for the series. If you enjoy "The Fire Rose" or the Five Hundred Kingdoms books, you will find this book highly addictive. It is nothing special but to quote The Fire Rose, sometimes you're in the mood for an extremely sweet confection. A Swashbuckling Adventure of the First Caliber! 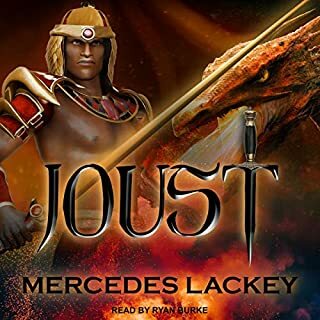 I discovered Mercedes Lackey in middle school, and while not the target audience of the Valdemar series, I was drawn in and have continued to do so some 12 or so years later. This new series is no exception to her rule of wondrous books with magic and adventure! The tale is full of the world building that Lackey excels in, painting a clear view and allowing immersion in it - if you're not fond of details about the ship and life aboard please sail along to another choice in book. There were moments that seemed a little rushed, as a hard copy reader pointed out, there was quick acceptance of her and relationship progression after the reveal - I'm sure due to the fact that the story was soon to wrap up. That being said, the book really was a gem. From the anguish under the rule of a cruel captain, to the desperation of the heroine and crew, to the machinations of an enchantress, and the battles with the sea herself, this book was a grand adventure. I was loathe to cease listening and eager for the commute and activities that provided the time to "read", as such I finished it in about two days. **if you are looking for a dime store romance novel, please pass this one through. It has the level of romance/ relationship as her various Elementals works - it is present but clean. I confess that I hope this is the intent for all her books in this series, and am very eager to see the next work. The narrator read at a splendid pace that whisks you away with the fear of whiplash as some others do. She had a great range of characters and kept them straight, without muddling of the characters. I look forward to hearing more works from her. 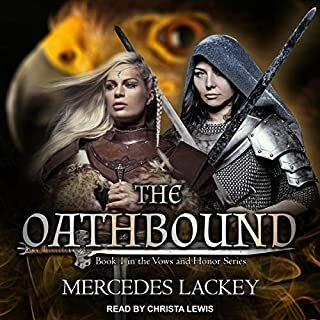 This was a very entertaining yarn of a tale that had just about everything you could want in a piratical story.. Piracy, a princess in disguise, evil sorceress, treasure, selkie dragon king thing (very minor role) and of course mutiny. The narration was decent, not amazing, not bad. Her pacing and delivery could have been better. But the story held its own enough to cover those flaws. I would read/listen to the next book if there will be a next edition. If your looking for a light piratical story good for all ages, this is a great choice! 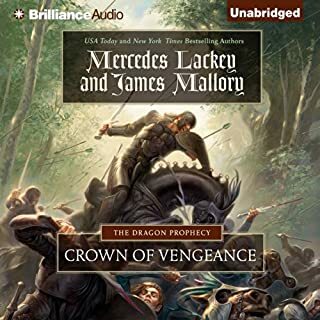 While I've listened to/read most of what Mercedes Lackey has written, I've decided to no longer purchase books where James Mallory is the co-author. Every book seems to be predictable, slow and flat no matter what the story is about. I'll finish the book, but I can only listen to 15 minutes "clumps" before total boredom and/or falling asleep sets in. I'll still read her independent work, but she's not Marion Zimmer Bradley, who seemed to be able to teach a fly how to write well. Absolutely!!! Fresh story with interesting characters. It held my interest and wet my appetite for more. I enjoyed each of the characters and felt that just the right amount of background information was given so that I was able to form a picture of them in my head. Have you listened to any of Emily Sutton-Smith’s other performances before? How does this one compare? I truly hope this series continues - there's so much material here to develop. The story was good albeit a bit predictable but I really did enjoy the characters and I am looking forward to the next in the series. The narrator can make or break a story and this one makes it. With one of the many annoying voice women narrators or flat voiced men, I may not have liked it near as much. A good listen. it was slow to begin with and somewhat predictable on the ending. However, it was a good lesson while driving. over all just an enjoyment to listen to. The book pulled me in quickly and as I knew it was coming to an end I find myself mourning. I enjoyed the innocent tale of adventure and love on the high sea. This was a very nice light hearted and fun story. I am looking forward to the other books in this series. Very good narration. Just felt the story was going to be longer, and found the ending incomplete. A bit predictable. Love the characters, names and magic of it.